Backing the Bolsheviks, Dublin 1918. | Come Here To Me! « More Sunday Independent cartoons from during the 1913 Lockout. Some of the most interesting characters of the time, such as Maud Gonne, Countess Markievicz and others spoke, and ‘The Red Flag’ was sung with gusto. The song, which has become something of a socialist anthem, was written by Irishman Jim Connell in 1889. Jim Connell was awarded the Red Star Medal by Vladimir Lenin in 1922, which gives an indication of the importance of the song to the socialist movement. While much has been written of anti-communism and anti-socialism in early twentieth century Ireland, this incredibly well-attended meeting is largely forgotten. The meeting was chaired by William X. O’Brien, who had been instrumental in the trade union movement during the Lockout of 1913. The scene in the Round Room was an extraordinary one. The passage up the centre of the spacious and crowded floor was occupied by a dense body of men standing. Near the front of this body was borne aloft a red flag, and during an interval in proceedings, while a collection was being taken up, the song ‘The Red Flag’ was sung. A resolution was passed at this meeting that was put forward by Cathal O’Shannon, with newspaper reports noting that it expressed that the “people of Dublin were at one with the Bolsheviks”, and “maintaining that the Russian interpretation of the democratic principle was the only one that would be acceptable to the people of Ireland.” O’Shannon, from Antrim, was a trade unionist and republican who had spent time in Richmond Barracks, Frongoch and Reading jail in the aftermath of the Easter Rising, despite not seeing action during the rebellion. There were several other republicans who had either fought in the Rising or been interned in its aftermath at this meeting, including Dr. Kathleen Lynn of the Irish Citizen Army, who stated that some people were shy to acclaim the Russian revolution for fear of being labelled anti-clerical. 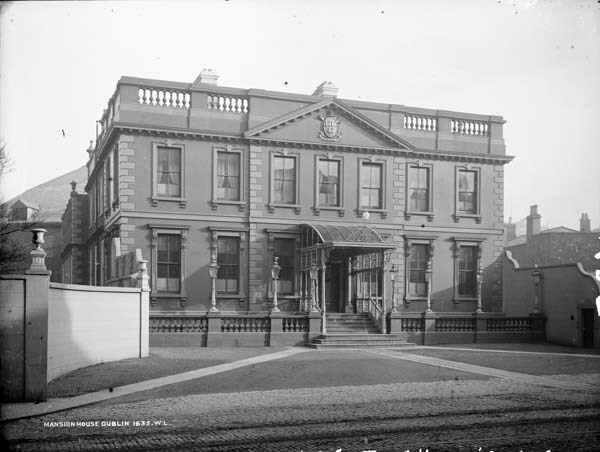 Lynn was a tireless campaigner for the poor of Dublin and the medical well-being of children, and established the Saint Ultan’s Hospital for Infants in 1919. The media noted that some Russian Bolsheviks were on the platform at this meeting, alongside leading lights of the trade union movement. Thomas Johnston of the Labour Party proclaimed that “the cry for bread was at the bottom of all successful revolutions”, to loud applause. 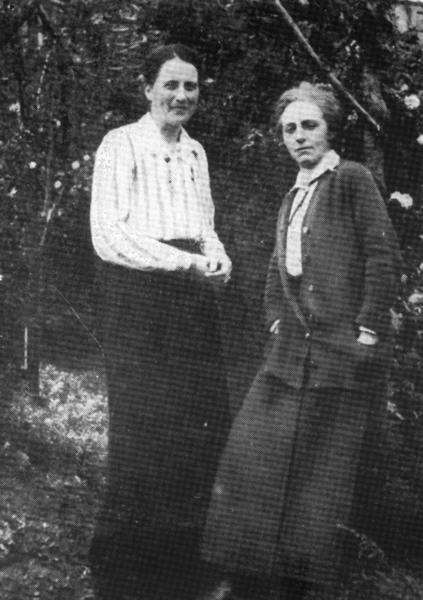 Dr. Kathleen Lynn, shown here with Madeline ffrench Mullen. Patrick Coates also spoke at this meeting, describing himself as a revolutionary socialist, he drew a huge cheer by noting that he wasn’t sure if this was the first time ‘The Red Flag’ had been sung in the Mansion House, but that “it would not be the last.” He later stated that when Ireland received her liberty the people would transform the Viceregal Lodge into the headquarters of the Transport Workers’ Union! Countess Markievicz rose to offer congratulations to the Bolsheviks “on behalf of the Irish Citizen Army”, and in the aftermath of this meeting thousands would march through the city of Dublin, though interestingly there were no reports of any confrontation between this demonstration of solidarity with the Russian revolution and anti-socialist elements. They have invaded Ireland, and if the democracies do not keep their heads, they may extend to other countries in Europe. The infection of Ireland by the anarchy of Bolshevism is one of those phenomena which, though almost incredible to reason and experience, are made intelligible by the accidents of fortune and human folly.